Up from the darkness, he springs from his hole… Explorer! Enthusiast! MORRIS THE MOLE! 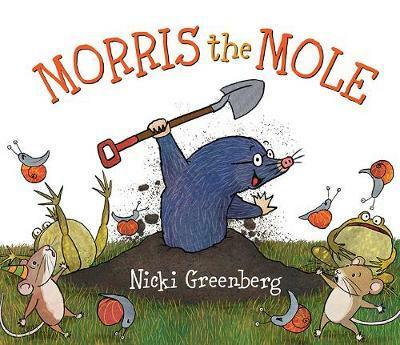 With a twirl of his spade and a twitch of his nose, Morris makes TUNNELS wherever he goes… Will Morris dig his way to trouble? Or will his hard work pay off in an unexpected way? Morris’s adventures underground (and above) are hugely entertaining and full of joy.